The Great Gatsby premieres this weekend! 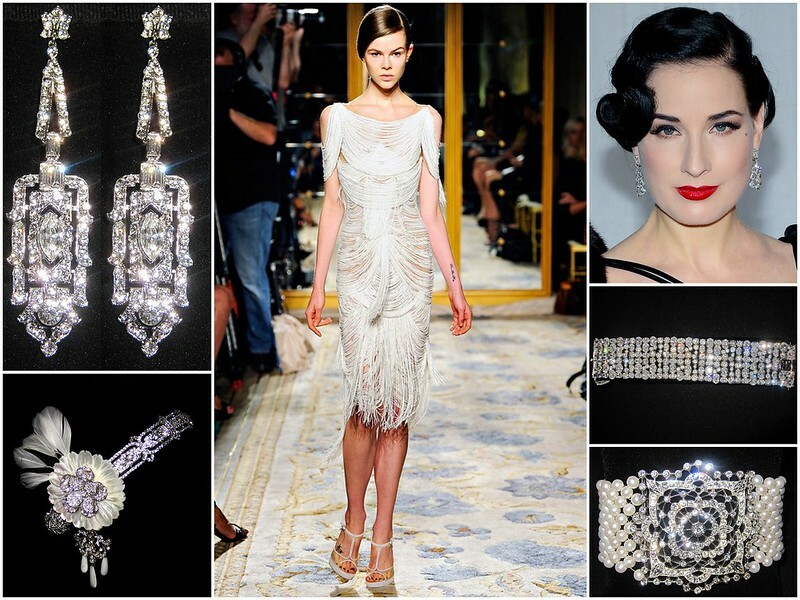 1920s style is already influencing fashion, and, when brought to life on screen, it’s sure to inspire. In honor of the era of Jazz, Flappers, Art Deco, Prohibition, and a major shift in women’s fashion, we’re sharing Gatsby-inspired bridal style in a two-part post, starting with Flappers! World War I was a catalyst that ushered women of the time out of restrictive Victorian customs. Shedding corsets, gowns, long hair, and prim ways, many emerged as Flappers. They drove cars, rode bicycles, cut their hair in bobs, dyed it black. Wore bright lipstick and rouge, sported short dresses. Partied at and smuggled liquor to speakeasies. Danced the night away doing the Charleston and the Shimmy! 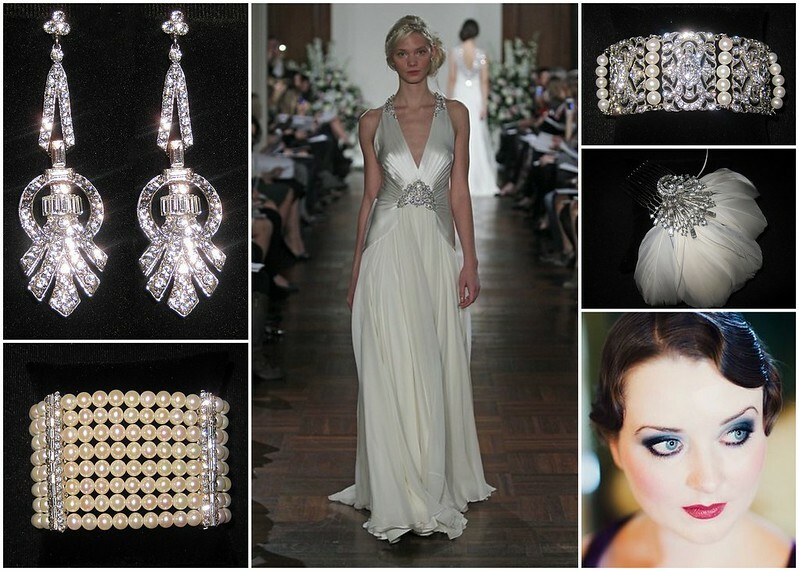 So, you can see why a Flapper’s bold style is rich inspiration for a bride whose modern aesthetic leans toward edgy. Infuse the Flapper’s audacious spirit into your wedding day look beginning with a bright makeup palette, and, of course, a bridal ‘do influenced by the era’s popular Marcel wave. Go short with a fabulous, fringed gown, or stay long and choose a daring, sophisticated frock made for dancing. Now for the best part – jewelry and hair accessories. In a nod to our muse’s iconic pearl necklace, work with a mix of crystals and pearls…and lots of them! Layer glittering CZ and pearl bracelets, don gorgeous Art Deco chandelier earrings, then top it all off with a feather fascinator or striking double headband finished with a sparkling broach. To find the perfect jewelry, headpiece and accessories for your Flapper-inspired wedding day look, visit us at Bridal Styles Boutique, and don’t forget to check back next week for more 1920’s bridal style inspiration! This entry was posted on Tuesday, May 7th, 2013 at 11:26 am	and is filed under Blog, Inspiration. You can follow any responses to this entry through the RSS 2.0 feed. You can skip to the end and leave a response. Pinging is currently not allowed.